Hair care is a very important part of taking care of your body. The hair as well as the skin holding the hair should be taken care of for a healthy and beautiful hair. The living part of the hair is beneath the surface of the scalp skin. The hair shaft we see outside is lifeless. As such, it cannot be repaired if any damage happens to it. These hair shafts are to be groomed and kept well to have a beautiful look. There's no need to use nasty chemicals when there are some great organic hair care products available as part of your hair care regime.We only sell natural shampoos, conditioners and hair styling products that contain no parabens. Great for healthy hair and a healthier you! If you're going to do something for your skin and hair then Organic Hair Care Products and Natural Hair Care Products are the best choice. Do you love how your hair looks and feels after a day at the beach? Does your hair just lie there like a limp heavy thing with a tendency to oil slick? This is for you! 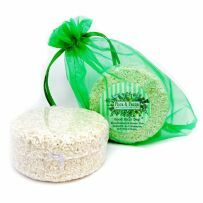 Dead sea salt absorbs oils and adds volume making this solid shampoo bar perfect for hair that’s greasy or flat-looking. Coconut oil then conditions, moisturises and adds shine. The scent is bright and fresg with pink grapefruit essence. Made with Rosemary, Lavender and Chamomile for the ultimate in soothing and calming hair care. The addition of intensely moisturising Coconut helps this special shampoo bar to improve the condition of your scalp and so reduce the problems associated with a damaged scalp such as itchiness and flaky skin. For intensely clean hair and scalp this is perfect! Cool minty peppermint and coconut butter pair up for a minty yet sweet clean scent. Great for all hair types. 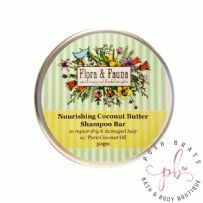 Made with Coconut Oil - perhaps the number one oil in hair care. Studies have shown that coconut oil reduces protein loss in hair and so helps to repair damaged hair. This has a light scent of coconut. Good Hair Day shampoo is packed full of natural ingredients that will treat your hair kindly and give it a much needed moisture-boost. This contains beautiful raw aloe vera, oat protein, grapefruit essential oil, and green tea oil that treat your hair to a luxurious experience. The scent is bright and fresh and full of citrus. Organic coconut & cocoa butter quench thirsty locks, while our coconut-based cleansers gently but effectively cleanse the hair and scalp. 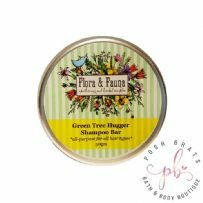 This all-purpose bar is designed for problem scalp with a tendency to oily,flaky.itchy problems. With a fresh, clean fragrance from the Tea Tree Essential Oil and added coconut oil to moisturise, condition and add shine. Perfect for you blondes, brondes, white/silver haired folks out there. 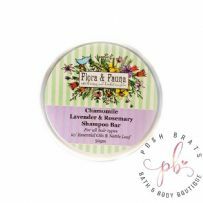 This is a delightfully fresh lemon and calendula blossom shampoo designed to brighten your tresses and make them shine! You'll feel a little like a silver screen siren.